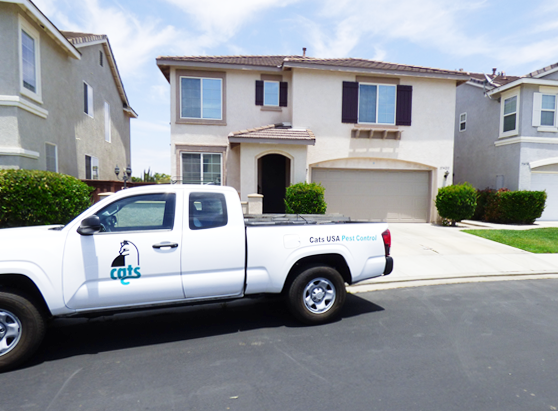 SINCE 1972, Cats USA Pest Control has been servicing residential and commercial customers throughout Southern California. 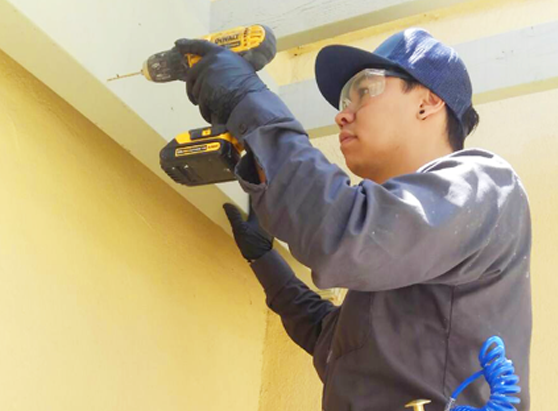 We are one of the few companies in Southern California to provide a comprehensive line of termite and full-service pest control programs “pests of any kind” to promptly, safely and efficiently solve any pest problems or threats. By focusing on inspection and adapting newly developed State approved “Earth friendly” organic and natural products, our goal is to create a safer, cleaner and greener environment for our clients, their families and pets. Since 1972! Our many years of experience allows us to offer a variety of alternative solutions specific to your environment. 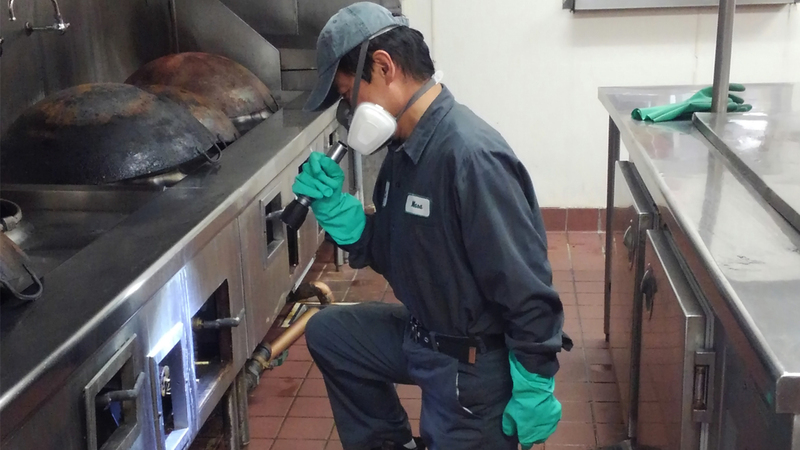 We have over 3 decades of continued membership with PCOC, Pest Control Operators of California. We also have a superior rating A+ with BBB. 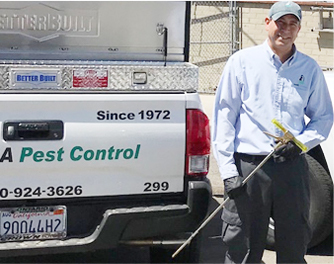 Since 1997 Cats has been the prime service provider for the City of Los Angeles applying pest control solutions throughout the City’s wide range of municipal buildings. Find out why over 90% of our business comes from referrals. 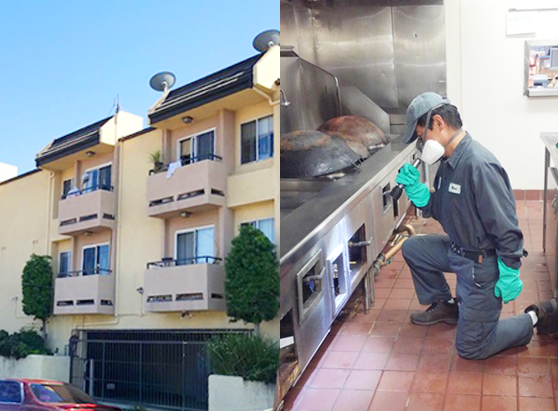 Cats offers full service pest control solutions. 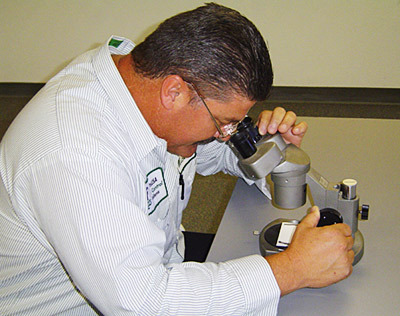 All of our service technicians are State licensed, professionally trained specialists. Capable of solving everything under one roof. All-Inclusive State-Of-The-Art Technology. Cats uses the most advanced technical methods available today. 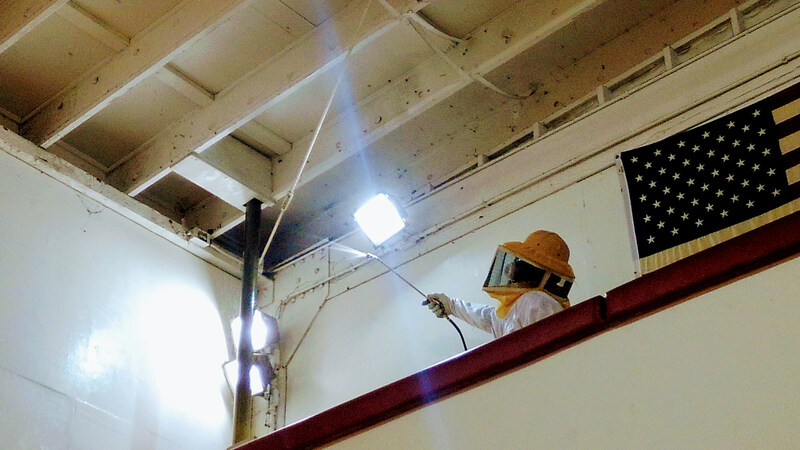 Our commitment is to establish a clean pest-free environment for your home and place of business. 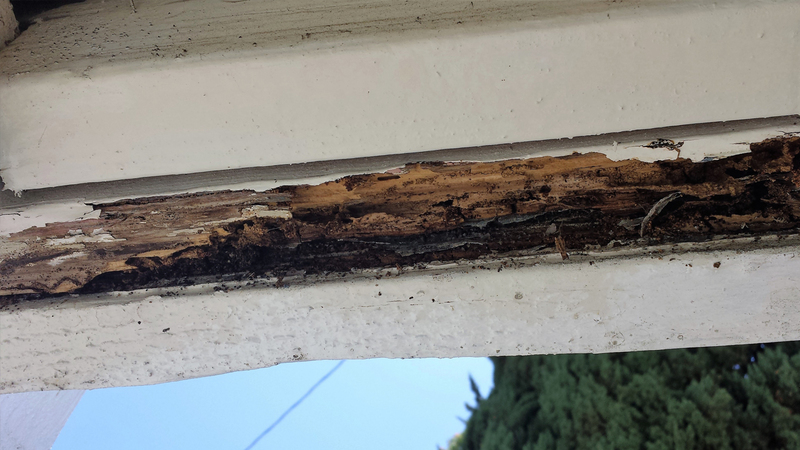 We offer a 30-day 100% guarantee for the general services we provide, and be sure to inquire about our 3-year Cats Termite Warranty. In addition to our industry’s conventional approach Cats offers a variety of green / low impact pest solution alternatives. Again, our goal is to create a safer, cleaner and greener environment. We are Prompt, Efficient and Clean. Cats offers high quality service at a fair and reasonable price. Our goal is to consistently deliver superior service without compromising our business ethics. I am a board member at a condo community, and we have been using Cats Pest Control for many years. They are always professional and reliable, and their rates are very reasonable. I am also a Realtor and have relied on their expertise numerous times. They respond quickly and always work around my schedule. When they set an appointment, they show up on time which is a rarity these days! 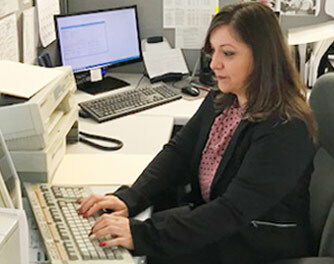 When dealing with their office staff, inspectors and technicians, I have always received exceptional service and have found that they are very accommodating. 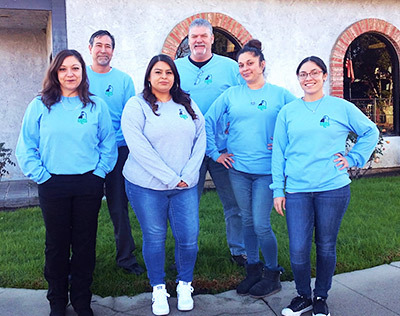 If you are looking for excellent customer service from a company full of knowledge and friendly employees, Cats Pest Control is the one to call! I wanted to pass on positive commentary on Art, my “Termite tech” that completed the service here at my residence yesterday. Too often, I am disappointed by the quality of work performed-yet pay hard earned money for. His attention to detail & thoroughness were appreciated as well as how well he cleaned the work area after he was finished. He also provided additional treatment details that I was not aware of previously. If Mr. Dicketts is Art’s supervisor- please compliment his work on my behalf! Cats-USA Pest Control is the best! As a property manager for over a hundred properties, we use Cats-USA to service many of our properties on a monthly basis. Everyone at Cats is super friendly. If you only need a one-time service, just ask for Susan and she will have your apartment inspected within a couple of days and the rates for service are very reasonable. If you want to set up monthly service for pests and/or bait stations for rodents, Susan is your go-to-gal as well. Monthly rates are very affordable and the peace of mind of not having to worry about a huge outbreak of roaches, spiders, etc is priceless. Chelsea Collins / Stern Property Management, Inc. I am so happy to have the opportunity to say, "Thank you for your wonderful service!" We have been with CatsUSA for many years, and we are always satisfied customers! Angel Sanchez is our technician, and we appreciate him so much! He is reliable, takes care of our nasty pests, and he is such a nice person! It is great to know he's there for us! We also appreciate your top-quality customer service! Marissa always gives us a reminder call the day before Angel comes to spray, and she is so pleasant to talk to. We thank you for your dependable service, quality care and a very special staff! We really enjoy having your technician do our home. Always friendly and Courteous! We are no strangers to LARGE fumigations! “A” Rating for our customer!! Service available 24/7 with pre-set appointment. © Cats USA Pest Control, Inc. All rights reserved.